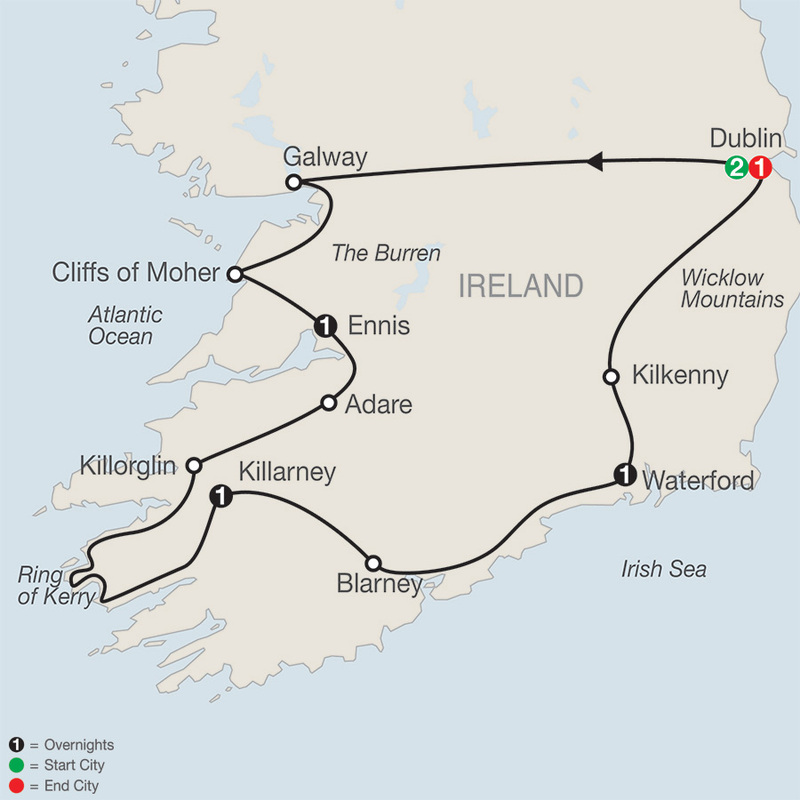 DAY 4 ENNIS–RING OF KERRY–KILLARNEY. "Explore the city from our family-friendly Hilton Garden Inn Dublin Custom House hotel, just a 10-minute walk from the city center. Located on the River Liffey, near to Dublin's 3 Arena, Bord Gais theatre, EPIC Ireland and a five-minute walk to the shopping district. Dine on-site at Oly's Bar & Restaurant. "